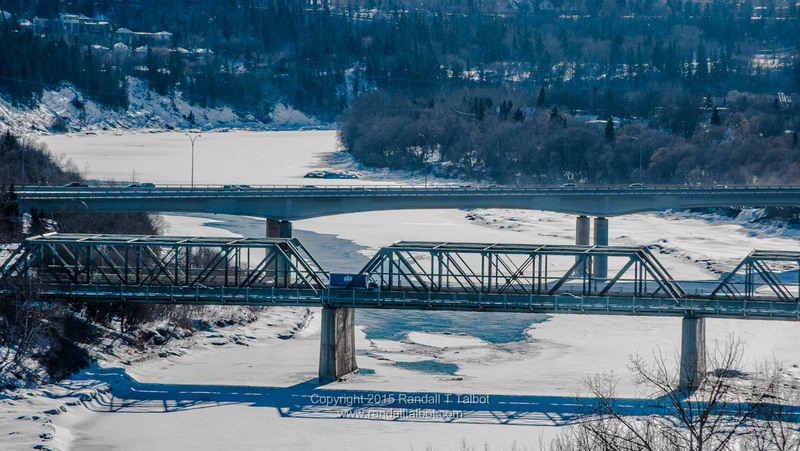 If you are from Edmonton do you remember the year we almost didn’t have winter. I know, you’re thinking I’m crazy! I’ve lived here my entire life and really have questioned my memory around this event. It was the winter of 2005/2006. My memory was that we got through February with basically no snow! 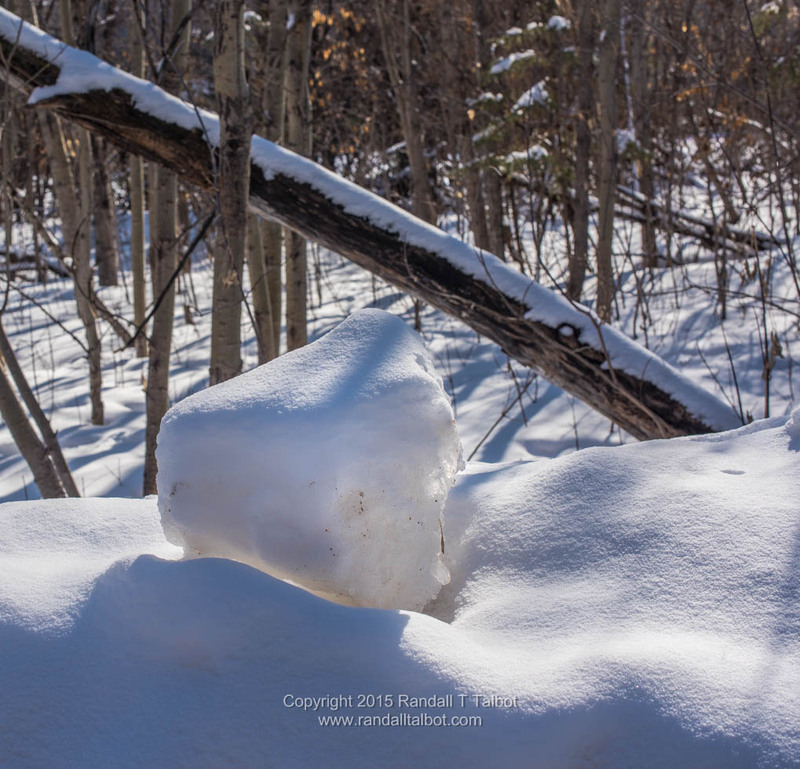 Then on March 1st we got a big dumb of snow and March was brutal – very wintery! So did I imagine this? I went back to the “Environment Canada” weather records and this is what the history showed for the Edmonton Municipal Airport in January 2006. Look at the Snowfall stats for the month: Zero – everyday! So how was February? Pretty good (unless you are a skier). The trend continued! No snow on the ground until February 22nd and then only a measly 1 cm had accumulated. 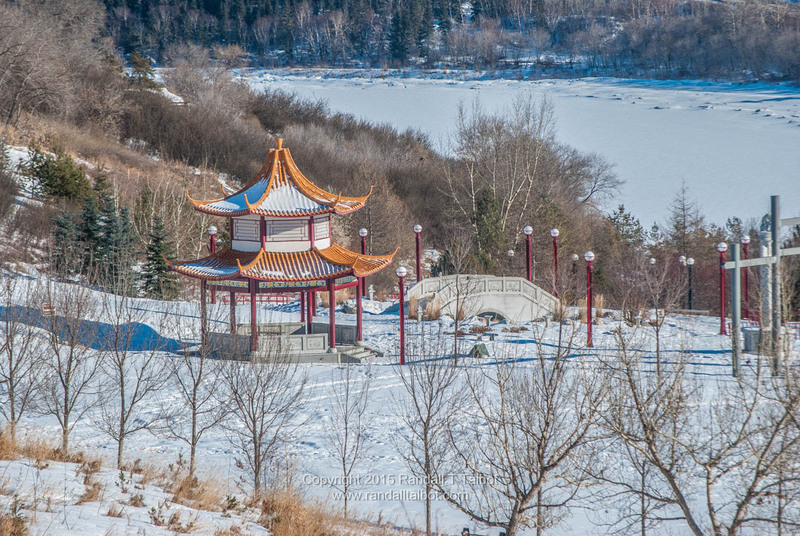 A few more snow flurries left a total of 4 cm on the ground by the end of February. In a normal year we would have more than this amount of snow still on the ground, still unmelted from when it fell in November. So was my memory of the miserable March backed up by the the records? Well, Yes! On March 1st we got our biggest snow fall of the winter, twice as much fell as had accumulated all winter to that point. It snowed 5 out of the first 11 days of March. Then we got the biggest dump of the winter, over 20 cm on March 18th. By the end of March, despite some significant melting there was still more snow on the ground than there had been at the end of February! 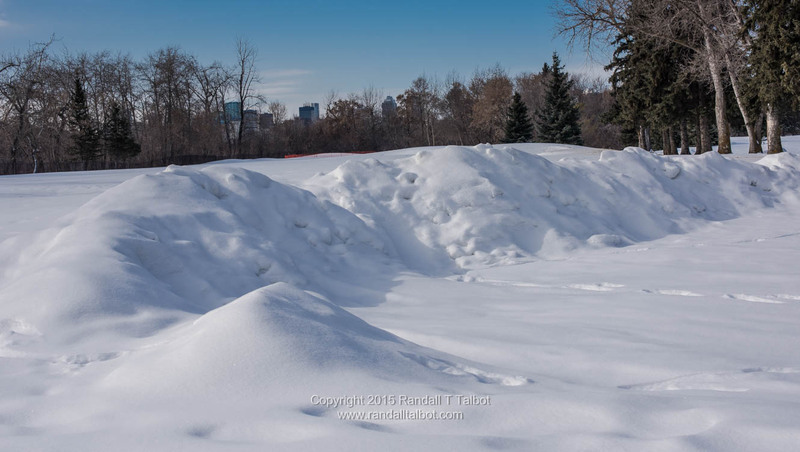 Spring did soon arrive – April 1st was actually the last day with a record of snow on the ground in Edmonton that year. This winter of 2014/15 has been normal (which is to say it feels much too long already by the end of February). 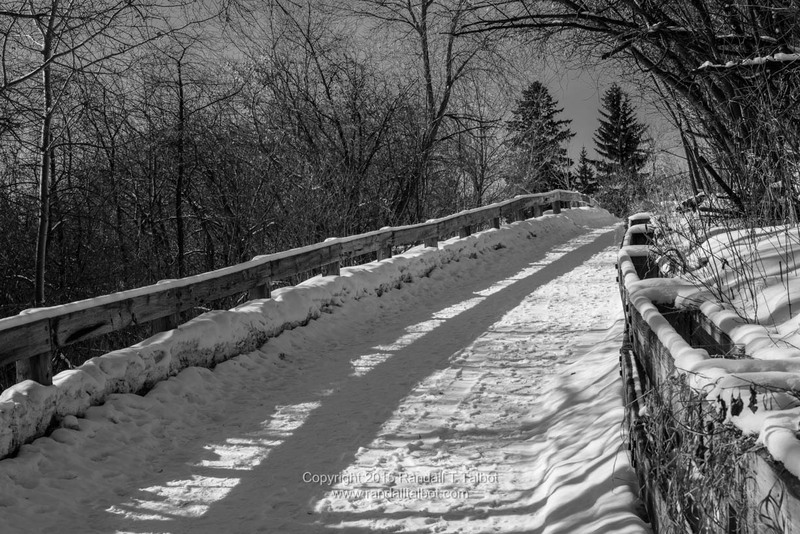 But, the key to surviving an Edmonton winter is to find the beauty in it. 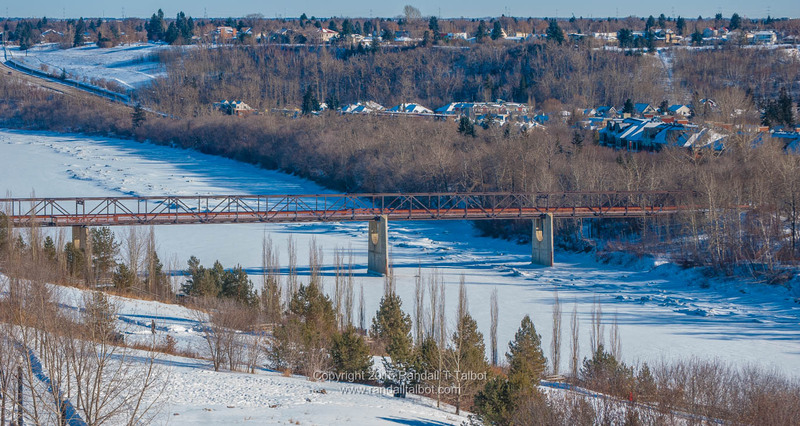 Today I was out for a walk in Edmonton’s river valley and yes, with white snow and blue skies it was beautiful. 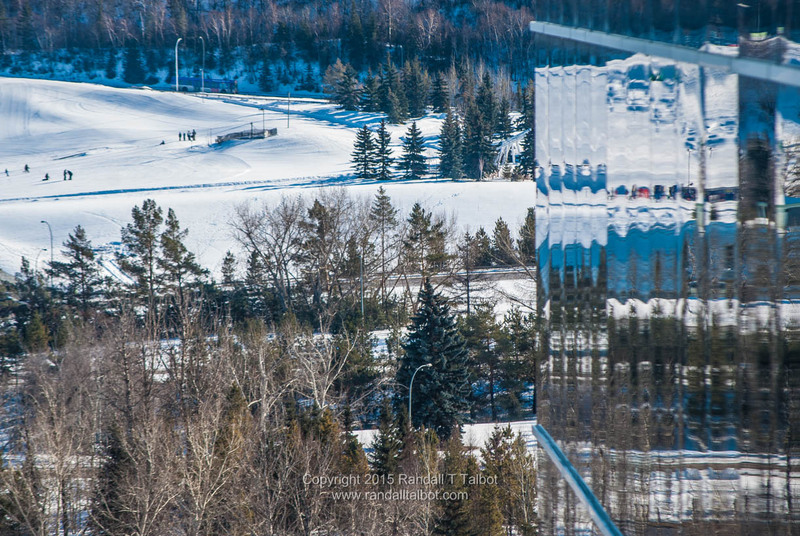 Today (2015 February 15) I was wandering around downtown Edmonton, taking photos of what ever caught my eye: buildings, the sky, snow and ice. What I don’t take pictures of generally are people (too shy to ask anyone if they’d mind). A few months ago I posted about how I passed a guy sitting on some stairs in the river valley and he asked if I would take his photo. That was the first time that happened and happily obliged. Today it happened again. 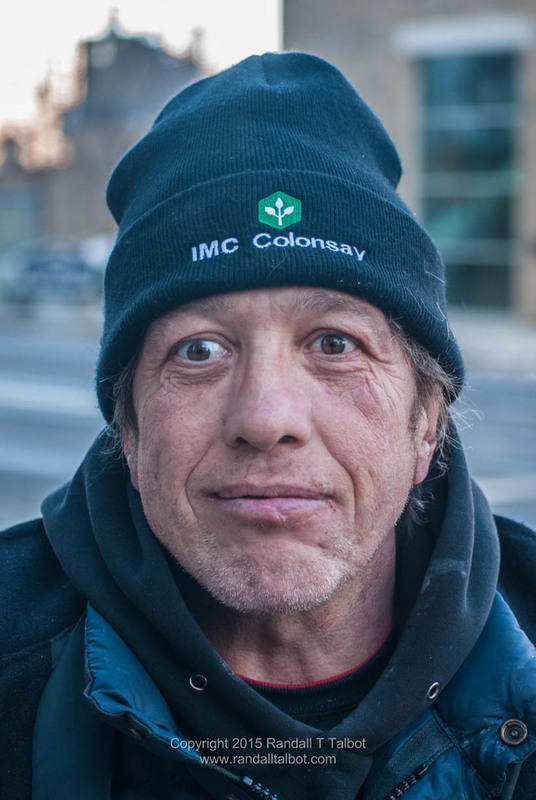 I was standing on the corner of 100 St. and 101A Ave. in downtown Edmonton, waiting for the light to change when a fellow standing next to me asks if I would take his picture. “Sure”, says I. He asked if I worked for a paper and I said no but he still wanted his picture taken. I don’t really know why but it doesn’t matter. Without any prompting from me he assumed a nice, serious pose. I pushed the shutter; we said thanks to each other and the walk light changed. I crossed the street and I am not sure where he went. I never thought to even ask his name. He couldn’t have thought that he’d ever see the photo of him, but here it is and perhaps somehow , someday he will.